Lili Waste Services’ founder and Chairman, Matt Miles, is passionate about creating a greener future. Therefore, when it came to selecting vehicles for the collection of trade and commercial waste in Sheffield, Hull and Leeds, he had little hesitation in turning to Volvo dealer Crossroads Truck & Bus, Birstall and the Volvo FE. "I have dealt with Crossroads Truck & Bus in the past and they have always proved themselves to deliver what I've needed and then they've backed that up with excellent service thereafter," says Matt. "As such, when Lili waste was incorporated just last year and we needed safe, reliable, highly-manoeuvrable vehicles boasting excellent fuel efficiency and environmental values similar to our own, it was a fairly logical step to look to Volvo and Crossroads Truck & Bus." The initial Volvo FE 6x2 rigid truck with steered tag axle specified by the company is now on the road, working double-shifts, six days per week. 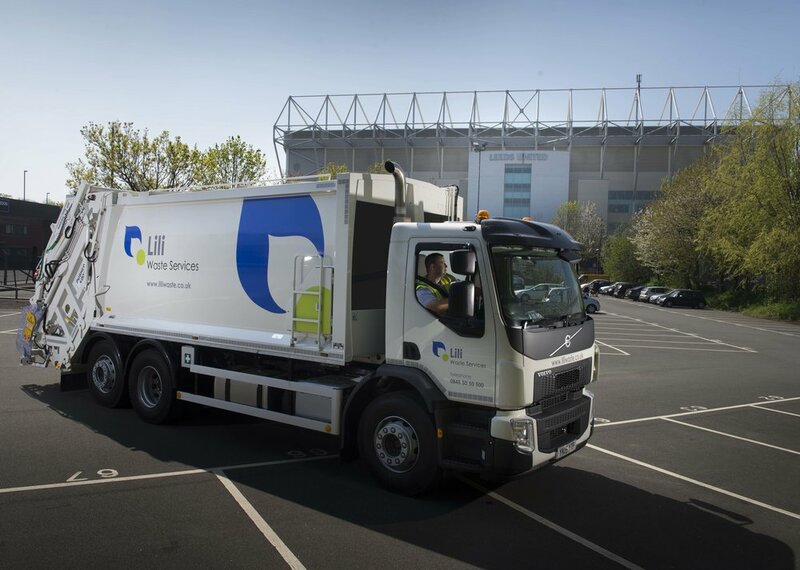 A second truck of the same specification is due to be delivered in January 2016 and Matt is already looking further ahead and to the Volvo Tridem configuration, which he believes could perfectly suit the expanded aims of Lili Waste. Powered by a Volvo D8K engine producing 280hp and up to 1,050Nm of torque the Volvo FE features a day cab and air suspension on the rear and is fitted with an Allison 6-speed automatic transmission as requested by the body builder, Incomol. The Incomol body has a 23m3 capacity, which takes the Volvo FE right up to its 26-tonne GVW when fully loaded. "Over a double shift the Volvo FE is collecting trade and commercial waste from some 250 wheeled containers from 240-litre capacity up to what we call skips with a 12.2m3 capacity," says Matt. "This equates to approximately 20 tonnes/day, not one ounce of which goes to landfill," he reiterates. "Trucks for us really are just a means to an end," adds Matt. "Our business is about trade and commercial waste, about finding solutions for our customers that require zero landfill and through offering great service and value for money. All that said; I appreciate that to achieve this we need vehicles and the Volvo FE with the Incomol pusher 4000 body is proving to be a capable enabler in achieving our goals." "The truck will only cover about 100,000km/year, but every one of these will be highly demanding and intense with a work cycle of stop-start-idle repeated hundreds of times every day," says Matt. "With a 5-year Volvo Gold R&M contract and the inherent reliability found with Volvo trucks I am confident in the Volvo FE. I am certainly very happy with the truck that's been delivered and the service from Crossroads Truck & Bus Birstall has been seamless," he concludes.